A pair of partridges remains stolidly resident in the remnants of my game cover crop. I’m delighted that these birds have stayed around as long as they have, although extended absences have sometimes made me suspect that I’m dealing with wild birds (of which there are one or two still going about on the hill). 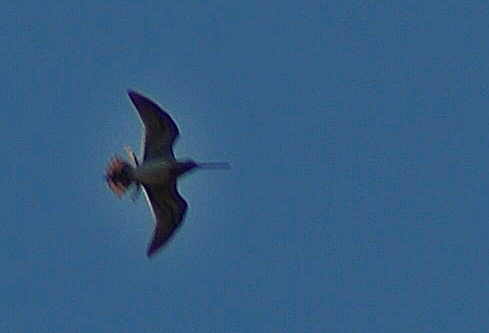 As is apparent from the picture above, I haven’t been able to get close enough to properly identify these birds as wild or released, let alone take a decent picture. I have to suspect that they are both released, but there was some excitement when I found that one of them did not have its leg ring on last week. However, I’m afraid I think that rather than attracting wild stock, the leg ring simply fell off. When I go into the cover crop to check my traps, I can hear them growling and skrieking away to themselves in the rushes, and it’s no surprise that grey partridges once did well in rough hill country. They are extremely difficult to spot against rushes and blow grass – a fact which gives me great hope for the future of grey partridges on the Chayne. If they can keep their heads down when they’re in the open and don’t mind waiting a couple of years for my new hedges to start taking shape, there is actually some pretty good hill partridge habitat up there. If this single pair is still in position seven months after the release of just six or seven birds, I can’t wait to see how they will get on this year when (all being well) I might be able to field a few dozen poults. In the meantime, the breeding pairs have been switched on to breeder pellets, having been wormed and dosed. Fingers crossed that it won’t be too long until the first egg appears. Just worth noting that I heard the first drumming snipe of the year this evening on the Chayne – It was a lone bird, drumming intermittently over the course of five minutes before dropping back down to earth again. It is precisely a year to the day since I heard the first bird last year – I think that the last week in February is the standard for the Chayne. I heard a bird chipping last monday, so I had an inkling that there might be a shift in gear amongst the snipe on the hill. 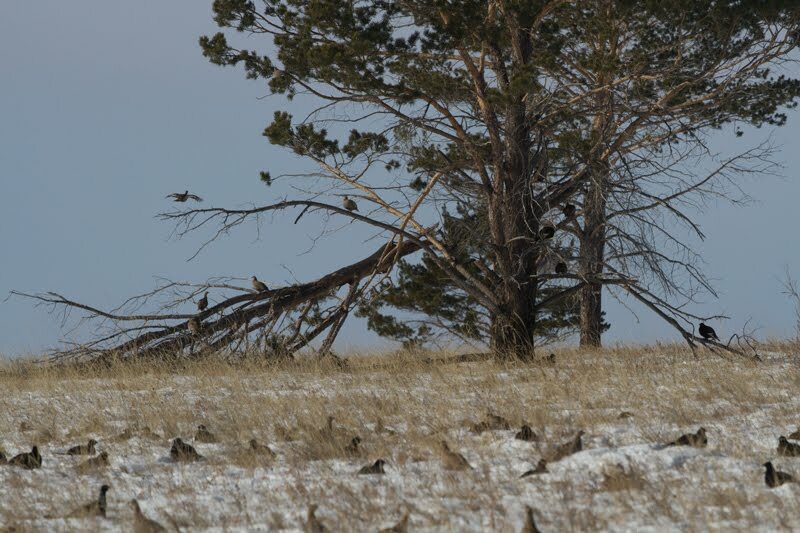 Most of them haven’t come back yet, and I wonder if the birds that overwinter will stay or whether they move off somewhere else. Whatever happens, the drumming will be so constant in a few weeks that it will hardly even be worth mentioning. I test the patience of my generous readership when I post about poultry. Suffice it to say that I went to the poultry auction in Carlisle this morning and had something of a spree. Having posted the other day about needing to expand my partridge brooding capacity, I struck gold in the auction ring, coming home with two old english game bantam pullets, four dutch bantam pullets and a dutch x pekin bantam pullet which I paid far too much for. 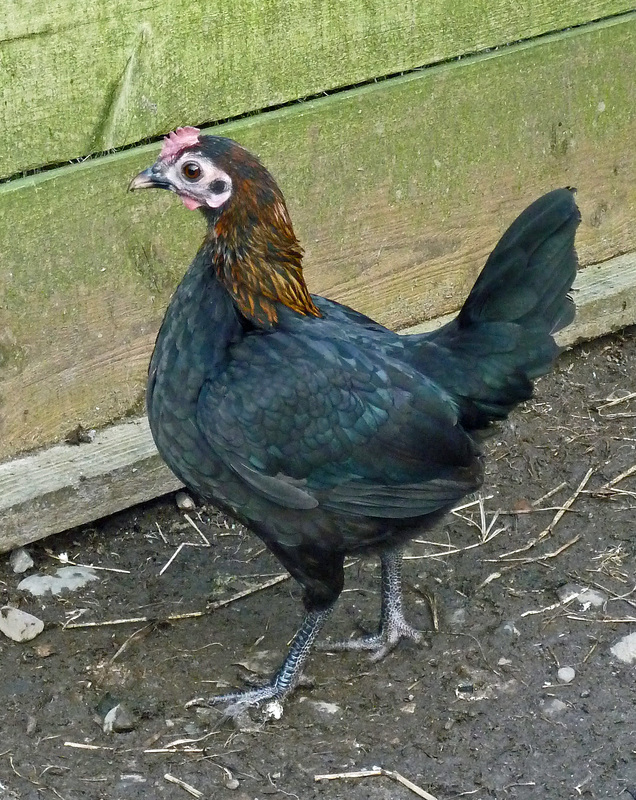 I decided that I wanted the dutch x pekin when I first saw her, and was fairly well prepared to go to any lengths to make sure of her. Unfortunately somebody else had the same idea and before I knew it I had paid more for that one bird that I had for all the other six put together. Victory was sweet, and after all, it’s only money. All the breeds were chosen because they have a good reputation for broodiness, but there are always wildcards. Out of seven new bantams, most should be useful somehow, but it is the mixed mongrel birds which they breed themselves over the next few years which I really have high hopes for. It has been a nagging concern over the past few weeks that my broodies are possibly a little too big to rear grey partridge chicks, so these little guys have certainly put that worry out of my mind. The o.e.g. pullets are about the size of a collared dove, and they are the biggest of all the birds I bought. 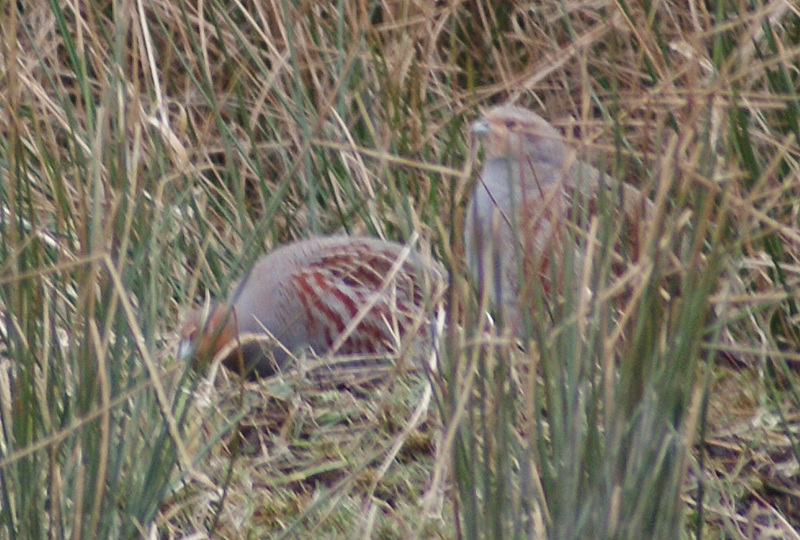 They should each cover a small clutch of partridge eggs without the risk of trampling them once they’ve hatched. I’m afraid that there will be plenty more to come on the subject of these fascinating new birds. To say that I’m looking forward to the first partridge eggs is a major understatement. When you are used to living in a remote location, you can either go one way or another on the social spectrum. Some hill shepherds and keepers will talk the hind legs off any passing walker, while others turn sour and introverted. I tend to swing between these poles depending upon my mood – nothing makes my heart sink like the sight of neon-jacketed hillwalkers traipsing across the moor in May, but I once met a mountain biker on the Chayne who I happily chatted to for almost half an hour. The way the Scottish Executive enthusiastically promotes our countryside by spending millions of pounds on footpaths, trails and long distance walks (and then initiatives which are designed to make people use them), it’s not difficult to see that we are all being prodded and cajoled into spending time amongst the “hills of hame”. The right to roam is by no means a bad thing, but perhaps it can be a dangerous weapon in the wrong hands. 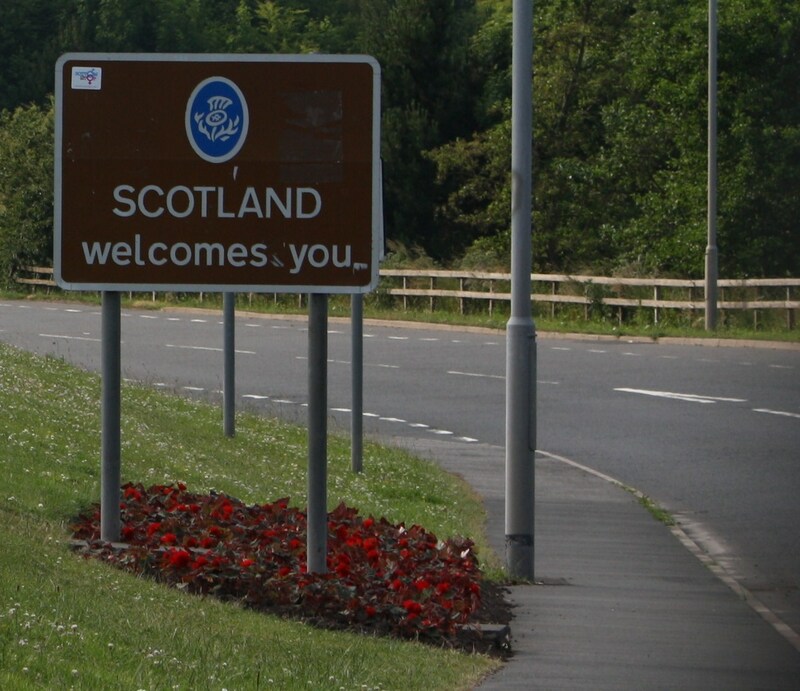 It provides thousands of people with access to remote and attractive corners of the nation, whereas before they would have had to have sought the approval of the local laird before even setting foot over the boundary. However, it also gives a self-righteous minority the opportunity to go anywhere and behave more or less as they see fit – often at the targetted expense of gamekeepers. Working on the hill on Friday afternoon, I spotted a black VW Golf come creeping tentatively up the track towards the main gate onto the farm. Given that I was just leaving, I headed down the road to meet them. The Chayne is nowhere near the beaten track, and visitors are extremely rare. In four years, I have seen seven or eight people on the farm in total, so these new arrivals were a bit of a novelty. As I got nearer, the driver wound down the window and, leaning his sour face out into the wind, asked with a flat English accent whether or not he was heading in the right direction to visit a ruined barn around the west side of the farm. His pronunciation of the placename was so extraordinarily wrong that I almost didn’t clock what he meant, but as soon as I realised, I confirmed that he was indeed heading in the right direction. He would need to park up and walk from a layby a few hundred yards further on, since the track is too rough for anything without 4×4 capacity. He absorbed the information without expression. Out of context, it’s difficult not to sound parochial and rustic when explaining why I immediately felt suspicious. There was something that was not right, and although the much parodied slogan “are you local?” popped into my head, it wasn’t with much humour. These two men were dressed smartly, driving an immaculate rental car to a remote, isolated hill farm, the name of which they clearly had only ever seen written down. Alarm bells were immediately ringing, but they turned into a siren when I asked them who they were. Without blinking, the driver dodged the question. “We are hill-walkers”, he said. They blatently weren’t hill-walkers. Surprised that he was being so unfriendly, I tried to see past his facial expression in the hope that I would find the spark of a joke. Nothing. For whatever reason, he had decided to confront me dead-on with a lie, talentlessly blended with a dose of incivility. Knowing that there was nothing I could do, I headed away down the hill feeling extremely uncomfortable. Who were these two people and what did they want up on the Chayne? If they were dodging my questions, then they clearly were up to something. After twenty minutes, I decided to return to the hill and see if I could see what they were doing. Following carefully along the track which they had expressed an interest in, I found neither hide nor hair of them. They had gone walkabout on the open hill, and as it was beginning to get dark, I returned home with a very uncomfortable feeling in the back of my mind. I only set it right after calling a contact at the local police station, who did nothing more than register the observation – it was all he needed to do – as was explained during the snaring accreditation course, it does no harm to cover your back and keep in touch with the police. I have nothing to be afraid of. My traps and snares are bang up to date, according to every nuance of the new law. There are no skeletons in the closet – the Chayne is as innocent as a baby’s bottom, but the nature of the law and the attitude of some people gives me cause for concern. I could think of a dozen ways to set something up which would reflect badly on any keeper in the land, and while I would obviously never consider causing trouble for someone who was just going about their daily business, I’m afraid that the same can’t be said for everyone. That realisation has occured to everyone who currently has a trap or snare set anywhere in Scotland. The huge majority of people I meet in the glen or up on the Chayne are friendly, courteous and cheery. It’s my own cussedness which sometimes makes me growl and grumble at them, but with only a few exceptions, visitors make no difference to my life at all. The upset lies in those few exceptions. I daresay it’s time I caught up with the rest of the 21st century and accepted the existence of trouble-makers, just like every other gamekeeper in the country. I have no idea what those unpleasant people were doing on the Chayne, but I don’t think it’s altogether unfair of me to hope that they got thoroughly cold and miserable doing it. Contentment is a shed full of soil. With spring now obviously progressing in leaps and bounds, I have been giving more thought to my broodie birds for this coming summer’s rearing programme. I have got quite a good mix (as well as several chicks which are on the way), but it could be that I need a couple more bantams just to bulk things out a bit. Ideally, I’d like to do away with my incubators altogether this coming year, but I know that it won’t be as simple as that. Most of my birds are untried and establishing a traditional keeper’s flock may take some time. There is a poultry auction coming up where I might be able to pick up some back-up broodies, but otherwise it’s just a matter of playing the waiting game and making sure that all my birds are in as good a condition as they can be. Poultry keeping is an accidental off-shoot of my project, but it brings its own perks. 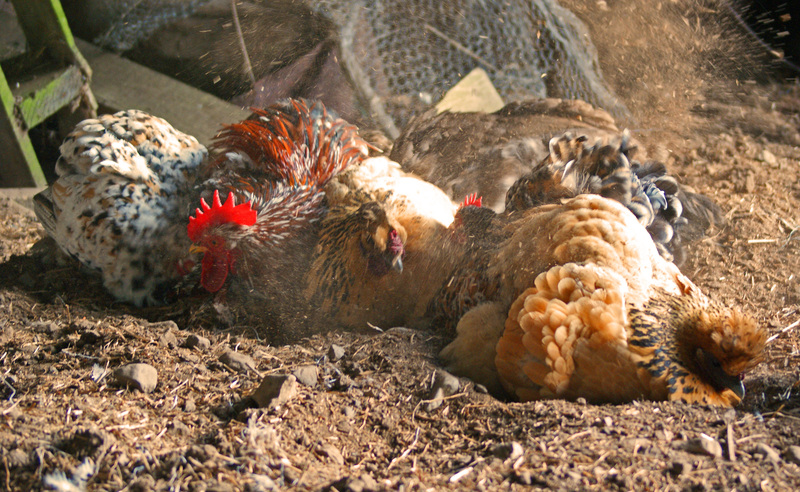 Watching my hens dust-bathing this morning was a real pleasure, and working with them adds a whole new dimension to game rearing. I probably wouldn’t be very interested in rearing gamebirds if I was doing it using modern technology, and while there’s no doubt that proper broodies are more labour intensive, I hope I won’t have to go back to heat lamps and incubators now unless there’s an emergency. Now in my fourth year of working on the Chayne, I am starting to come to terms with the nature of the ground itself. By comparison to arable England, the entire place is probably classed as moorland, but like the eskimos and their snow, there are many words in Scotland to describe land which lies in the upland spectrum. There is very little of what you might call “black” heather moorland on the Chayne, but there is enough heather to support red and black grouse. The land straddles an odd boundary between hill ground and moorland – not really being either but having easily identifiable elements of both. The idea of “marginal hill” will be familiar to anyone who has spent any time in the southern uplands – great expanses of wet ground, riddled with rushes, sphagnum and blow grass. The dry ground has ling and the wet ground has asphodel and cross leaved heath. It’s not a grouse moor by any stretch of the imagination, but in terms of its value for wildlife, it certainly has a great deal to offer. Depleted by over-grazing and neglected by the past thirty years of mis-spent farming subsidy, the embers of Galloway’s moorland habitat which once stretched from Girvan to the Nith are still viable where they haven’t been crushed under the weight of sitka spruce trees. I had never imagined when I became interested in grouse that I would be dealing with classic lowland plant species like guelder rose and elder, but in terms of management to suit the Chayne, both species have a part to play – I’m writing this because I have been planting both today. By pulling the farm into two pieces, I can treat the hill ground (along with the red grouse and golden plover) as part of a seperate project. Both halves will have to come back together again in due course once they have been brought up to speed, but it is fascinating to plan a future for the rushy inbye fields as a valuable habitat in themselves. For example, I was always rather disappointed that those rushy fields were no use to red grouse, but a bit of work and planning could make them ideal for snipe and curlew. Diversity is the key. Mentally splitting the farm is a bit of a theoretical shift for me, and it opens up a world of new opportunities. The Chayne will never be a grouse moor and it will never be a partridge manor. However, if it’s looked after carefully enough, it could include elements of both to make something healthy, diverse and unique. Of course, the thrust of the project will always be the conservation of black grouse, but it is only just dawning on me what the scope of my activities can include. 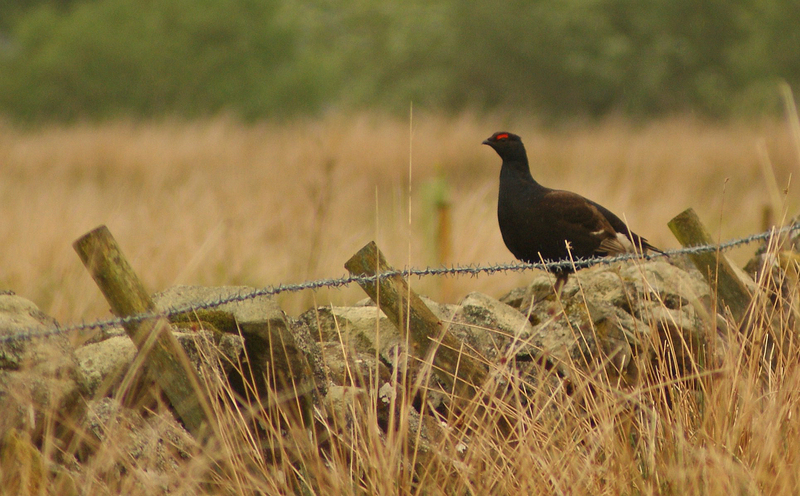 After all, the very nature of black grouse requires a strong element of co-operation between farmland and moorland – all I am doing is dividing those two and dealing with them seperately.